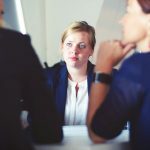 Are you looking for a lifelong career in a unique profession? Then you may be interested in a career as a nurse or a midwife. If you develop your interest further by learning more about becoming a nurse or midwife, you will discover that nursing or midwifery can reward you in so many ways. In terms of planning a career in nursing or midwifery, you may be wondering what your options are. Ireland’s healthcare environment has changed significantly, driven by changing demographics and epidemiology and the Government’s health reform strategy. 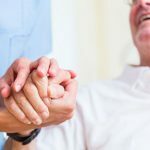 The professions of nursing and midwifery have responded by developing roles and functions significantly in order to enhance the quality of the patient/client experience. One easy way to check if you are suitable to nursing and midwifery is to take the student nurse/midwife Self-Assessment Questionnaire. 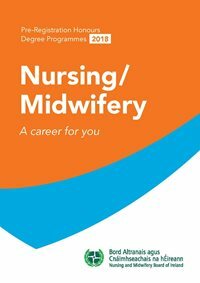 It is an easy way to establish if your interests, abilities and expectations are a match for a career in either nursing or midwifery. Which discipline of Nursing and Midwifery are you interested in? For more information on these programmes, visit the Undergraduates Programmes page. In what type of settings do nurses and midwives work? Nurses and midwives provide clinical care for individuals and families in a wide range of settings, including, acute, community, residential and extended care settings and homes. What are the career options as a registered nurse/midwife? The career pathways available can be considered in terms of clinical, management, education and research. Whatever the path you take, you will have endless opportunities to learn and to build on your skills. Find out more about career options and advancing your career. Your work will be challenging, rewarding and offer you many choices and possible career paths. You will work in an environment that supports learning. You can specialise and learn new skills throughout your career. You will have opportunities to work in Ireland or abroad in professions that are internationally renowned.